When you want to be a Pharmacy Technician, you have multiple options. You can study on your own, enroll in a local college program or you can choose to do things online. Although many people don't believe they will have the same opportunities when they decide to take an online degree, the truth is that this is a myth. And the best proof you could have is to look at the past Ashworth College Online Pharmacy Tech students and see where they are now. Plus, there are many different advantages when you opt for an online degree rather than a typical degree. Most people already have their own family and a full-time job. However, they want to take the degree they have always dreamed to get but they (or their parents) just couldn't afford it at the time. Plus, for stay-at-home moms who are trying to get more skills for when it's time to return to the professional life, they can always take advantage of online programs. When you opt for an online degree, you can take it at your own pace. Plus, the fees are a lot more affordable making it possible for the regular individual to be able to work and study at the same time while maintaining practically the same lifestyle. Despite the fact that there are many different online degrees, one of the best ones is the Ashworth College Online Pharmacy Tech Program. Why? Simply put, they include everything that you need to succeed. From a personal training by a CPhT, a pharmacy externship, the Pharmacy Technician Certification Board (PTCE) Exam or the National Healthcareer Association ExCPT exam. And you won't even pay the exam fee. The Ashworth College has partnerships with Walgreens pharmacies and with CVS nationwide to make sure that you can complete your externship. However, you can arrange externship on a local pharmacy if you prefer. One of the best things that you'll get from the Ashworth College Online PharmTech Program is the knowledge. When it's time to take the exam by either the PTCB or the NHA, you'll be fully prepared. During your Ashworth College Online PharmTech Program, you'll learn how to perform the operating procedures as well as the standard techniques that are required in the pharmacy setting. These include drug dispensation, patient profiling, recordkeeping, metric/apothecary conversions, medication transcriptions, and aseptic operations. Last but not least, you won't need to pay for any materials or textbooks. 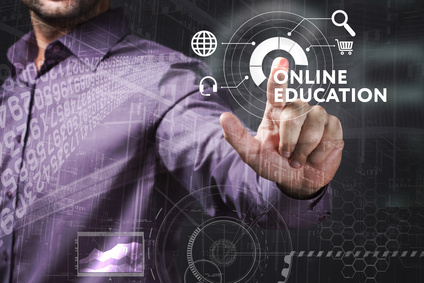 All you need to do is to check online and download the learning guides, the customized course modules, access laboratory simulations, and even the certification preparation materials to make sure you succeed on your final exam.